Women's Original Exploded Logo Flip Flop is rated 4.3 out of 5 by 4. Nouvelle interprétation de la sandale de plage Original, le modèle de cette saison comporte des lanières imprimées avec le logo Hunter éclaté. Chaque paire est faite de caoutchouc léger et possède des lanières en caoutchouc de silicone souple. Rated 5 out of 5 by Ikullar from Just love these boots I m just in love with these boots. I bought these boots and so happy with them. They are so comfortable and look so cute. Rated 5 out of 5 by Jojo from I want another pair! I love these flipflops. So comfy, great design. For sure I will buy another pair. 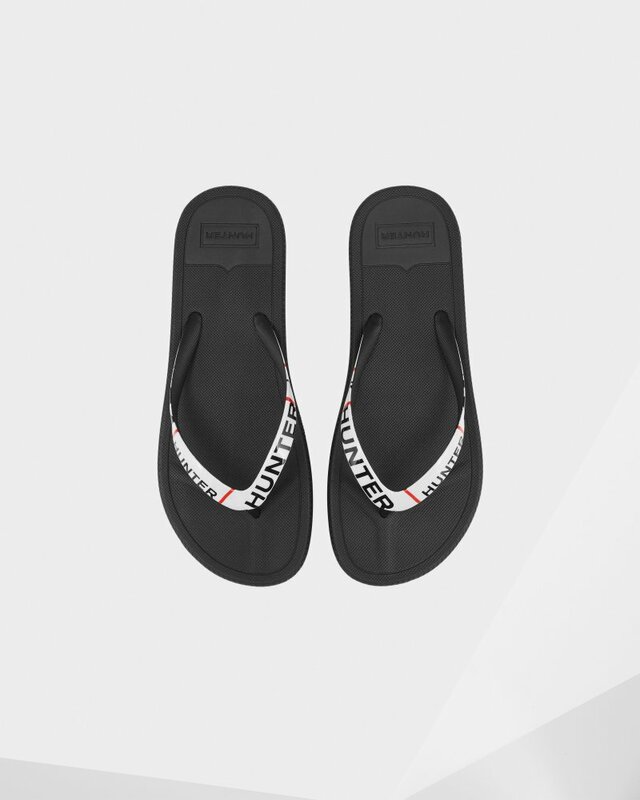 Rated 5 out of 5 by Anonymous from Gorgeous looking flip flops,I like the strap "Hunter "wording design.The sole is heavy duty,should last many years.